Runco LightStyle LS-5 review | What Hi-Fi? By Runco's usual standards, the LightStyle LS-5 is something of a budget product. The LS-5's lowly status (in Runco's range) is reflected in the relative lack of luxury features and fairly basic spec. It's a Full HD single chip DLP projector with a six-segment colour wheel. We usually see motorised focus at this kind of price level and some kind of easy way to lens shift. That's not the case here: the LS5 has to be focussed and zoomed manually, and lens shift requires the rather odd arrangement of removing a small plastic cover and adjusting horizontal and vertical shift with the use of a supplied Allen key. It all seems oddly basic for a product of this price, and much cheaper rival projectors from the likes of Panasonic have far more elegant manual arrangements. Take a look at the menus, though, and the difference between this and cheaper offerings starts to become clear. There's a wealth of adjustability here, from control over three types of noise reduction algorithms (general, block noise and mosquito) to myriad options for sharpness, gamma, and overscan. Want to play around with colour? You'll be in heaven with the vast range of fine-tuning available here. We ended up with noise reduction and sharpness on low settings, with all the other settings, ‘off' or ‘standard'. With a film as gloriously animated as the surprisingly creepy Coraline, the Runco delivers an impressively rendered picture. Animated films on Blu-ray tend to look good on most digital displays, but even so, this projector wowed us with its clarity. There's very little picture noise in the dark scenes, and the projector handles fast motion as securely as we've seen from a DLP. We're particularly impressed by its ability to combine bright whites in a dark scene without overly compromising either. All manufacturers claim a high contrast figure – it's 15,000:1 for the LS-5 – but few can back it up so convincingly. Moving onto some more natural source material, we try the Blu-ray of Clint Eastwood's Gran Torino and continue to be impressed. The LS-5 has a wonderfully subtle way with colours, combining richness with naturalness in a way rarely seen. Edges are defined with pleasing stability, which helps the projector when it comes to revealing fine detail – like, say, the individual blades of grass on Walt Kowalski's lawn or the subtle shadows on his (always immaculately clean) Ford Gran Torino. A switch to standard definition – both DVD and off-air transmissions – reveals the Runco to have a fine scaler and deinterlacer. While the LS-5 doesn't hide the limitations of standard-definition signals, it still delivers a clean and detailed picture for the standard. 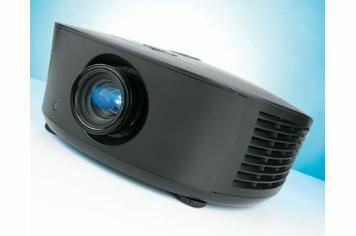 There's no denying that £7500 is a hefty chunk of money to spend on a projector, particularly when excellent products such as JVC DLA-HD550 are available for around half as much. Yet, view a carefully calibrated LS-5 with a suitable high quality source and there's no denying its picture is truly amazing. If picture performance is paramount, and you have the budget, we have no doubt this Runco is worth the money.